Nuwara Eliya (Sinhalese: නුවර එළිය [nuwərə ɛlijə]; Tamil: நுவரேலியா) is a city in the hill country of the Central Province, Sri Lanka. Its name means "city on the plain (table land)" or "city of light". 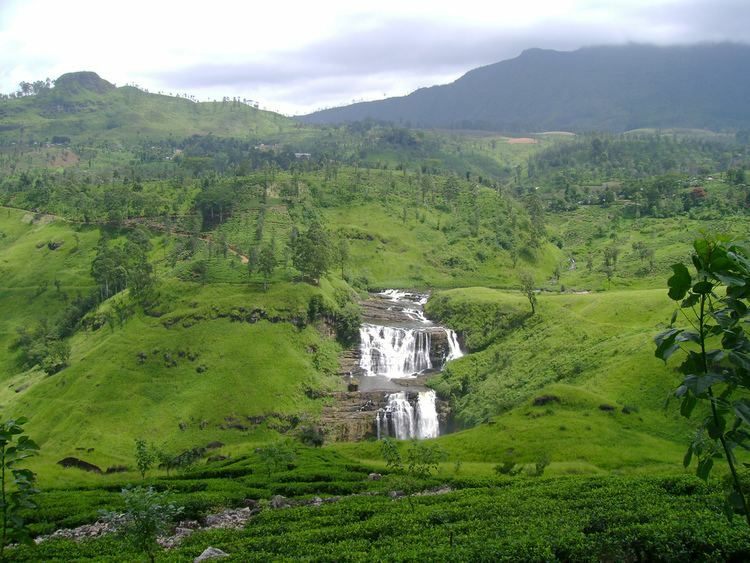 The city is the administrative capital of Nuwara Eliya District, with a picturesque landscape and temperate climate. 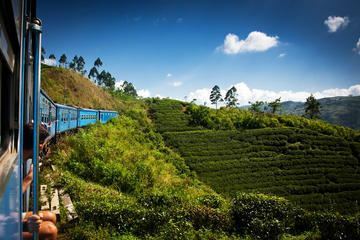 It is at an altitude of 1,868 m (6,128 ft) and is considered to be the most important location for tea production in Sri Lanka. 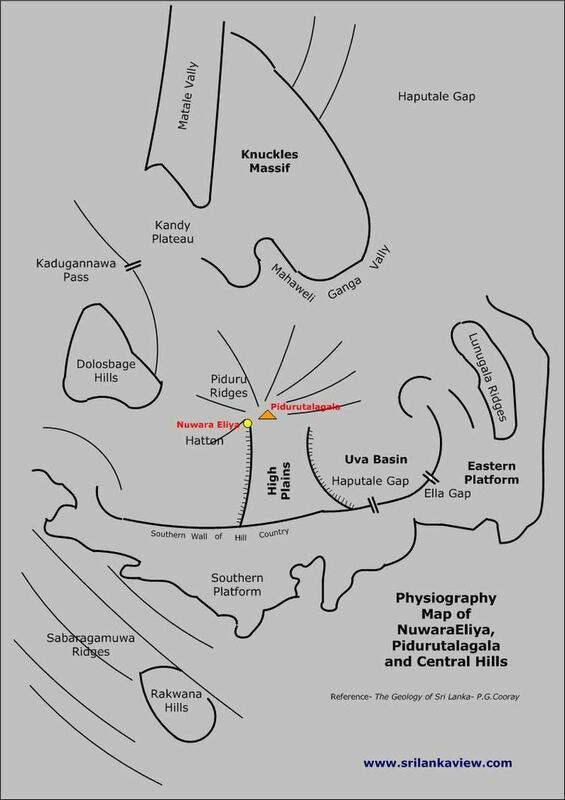 The city is overlooked by Pidurutalagala, the tallest mountain in Sri Lanka. 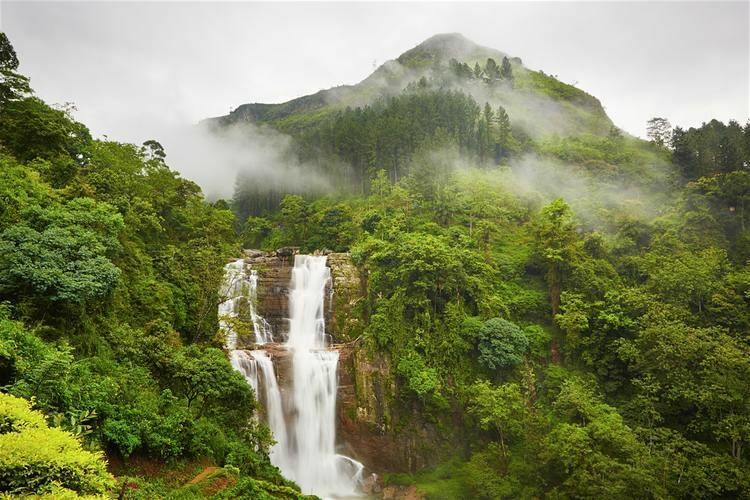 Nuwara Eliya is known for its temperate, cool climate — the coolest area in Sri Lanka. The city was founded by Samuel Baker, the discoverer of Lake Albert and the explorer of the Nile in 1846. Nuwara Eliya's climate lent itself to becoming the prime sanctuary of the British civil servants and planters in Ceylon. Nuwara Eliya, called Little England, was a hill country retreat where the British colonialists could immerse in their pastimes such as fox hunting, deer hunting, elephant hunting, polo, golf and cricket. Although the town was founded in the 19th century by the British, the district is today visited by native travelers, especially during April, the season of flowers, pony races, go cart races and auto rally. 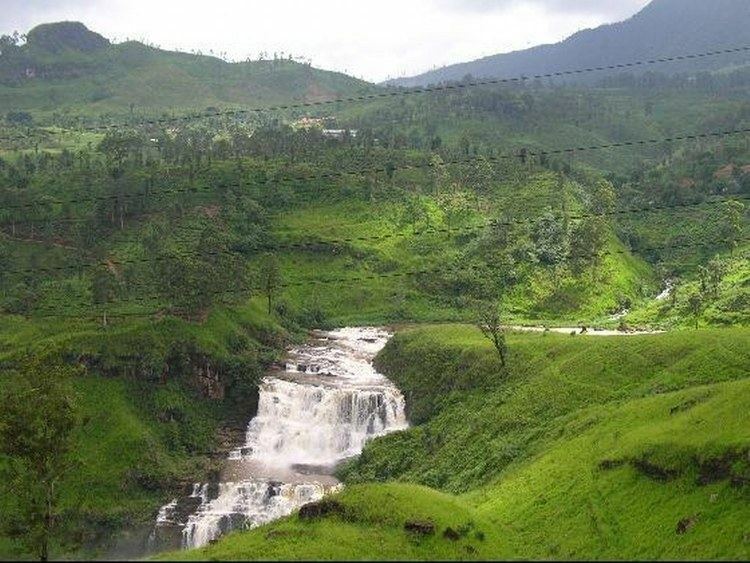 Due to its highland location, Nuwara Eliya has a subtropical highland climate (Köppen climate classification Cfb), having no pronounced dry season, a monsoon-like cloudy season and with a mean annual temperature of 16 °C (61 °F). Main attractions during April include motor and horse racing events. Motor racing comes alive with the Mahagastotte and Radella Hill Climbs, the former being run since 1934. The Nuwara Eliya Road Race and the 4X4 Lake Cross on edge of Lake Gregory attract a fair share of enthusiasts. Parties are held nightly in the hotels, and the season culminates in the nine furlong (1811 m) Governor's Cup at the Nuwara Eliya Racecourse, Golf Tournaments at the Nuwara Eliya Golf Club, and the flower show at the end of the month. The town's attractions include the golf course, trout streams, Victoria Park, and boating or fishing on Lake Gregory. Victoria Park is an attractive and well-used oasis. It is popular with birdwatchers at quieter times because of the good opportunities for seeing species, particularly the Indian blue robin, pied thrush or scaly thrush lurking in the denser undergrowth. The Kashmir flycatcher is another attractive bird species in the park. Galway's Land Bird Sanctuary, close to Lake Gregory, is an area of montane forest a few kilometers east of the town. Covering an area of 0.6 km2 it is home to many bird and mammal species endemic to Sri-Lanka, including wild boar and barking deer. The city is a base for visits to Horton Plains National Park. This is a key wildlife area of open grassy woodland. Species found here include the leopard, sambar, and the endemic purple-faced langur. Endemic highland birds include the dull-blue flycatcher, Sri Lanka white-eye, and yellow-eared bulbul. The plains have a well-visited tourist attraction at World's End — a sheer precipice with a 1050 m drop. The return walk passes the scenic Baker's Falls. Early morning visits are best, both to see the wildlife and to view World's End before mists close in during the later part of the morning. 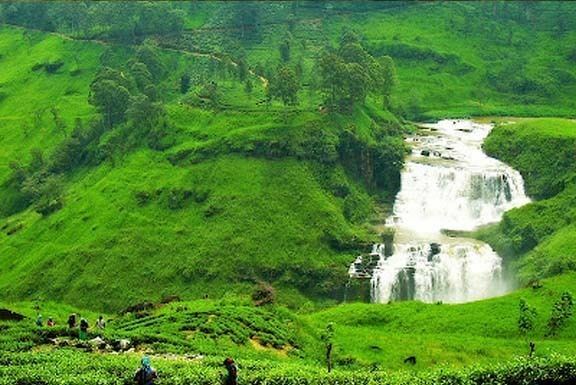 'Lovers Leap' is a spectacular waterfall set among tea plantation a short walk from the town of Nuwara Eliya. It falls a height of 30m in a long cascading sheet of water. It is said that it is named after a young couple who decided to be bound together forever by jumping off the cliff to their demise. A gravestone of Major Thomas William Rogers, (the Government Agent for Badulla District) is in the corner of the golf grounds. He is infamous for having shot, at the very lowest estimate 1,400 wild elephants.. Folklore in Nuwara Eliya says that every year his gravestone is struck by lightning for his great sin. This place is not open for the visitors. 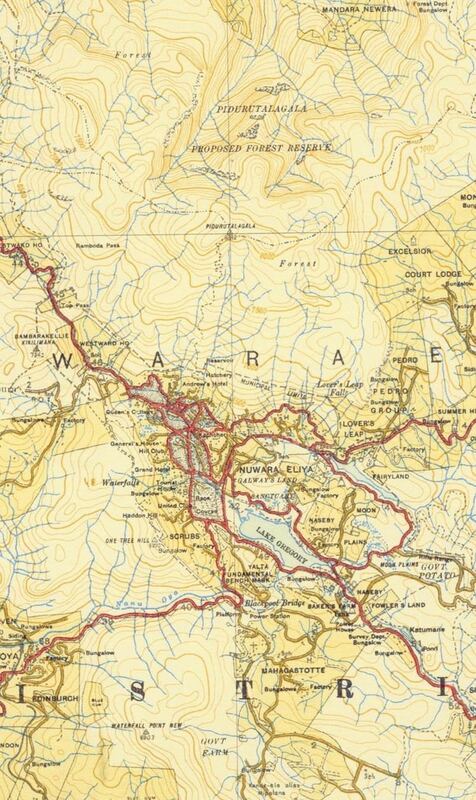 There nearest train station is in Nanu Oya, about 8 km away. Scheduled air taxi from Lake Gregory Waterdrome links Nuwara Eliya to Colombo.